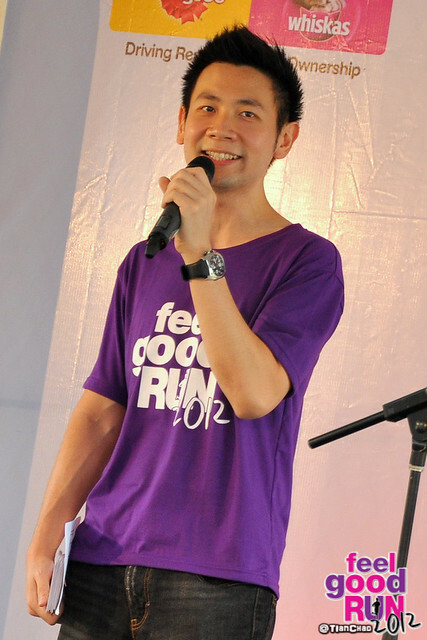 NTV7 FEEL GOOD RUN 2012 has finally announced the details just now at Central Park, One Utama! 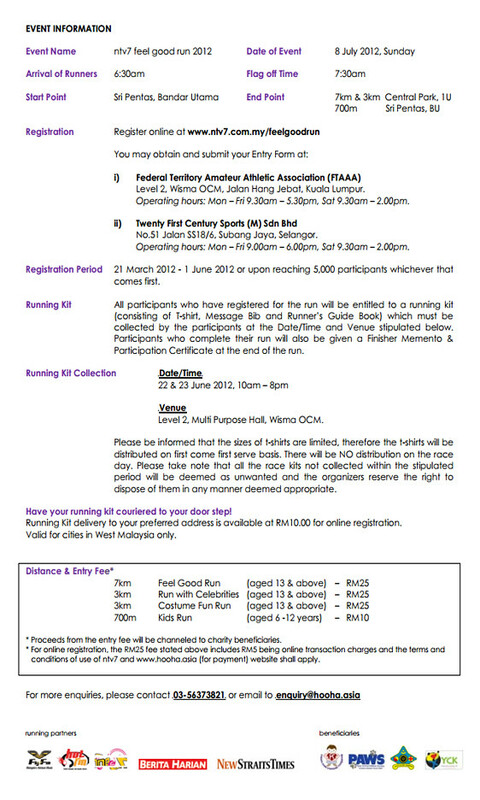 It will be happen on 8th July 2012 (Sunday) and held at Sri Pentas, One Utama (Starting Line) - Central Park, One Utama (Finish Line). If you like to run and do it together with awesome celebrities, don't miss out! Could be a nice place to hang out. A long-distance running event that is usually run as a road race is called the "marathon". What then do you call a run that lets you sweat and have fun, while doing charity AND running alongside your favourite celebrities? 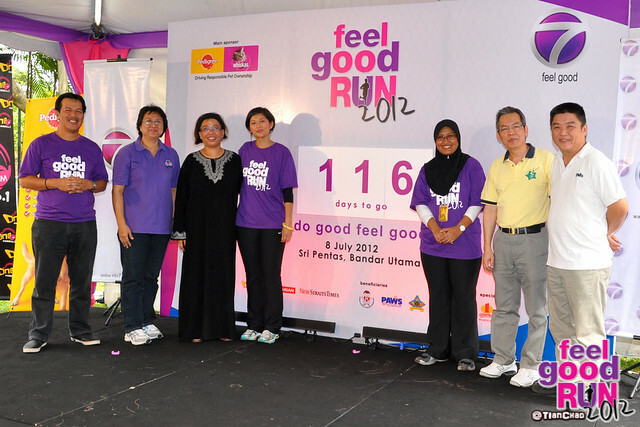 As surreal as it may sound, ntv7 made it all possible a year ago with the inauguration of Feel Good Run. 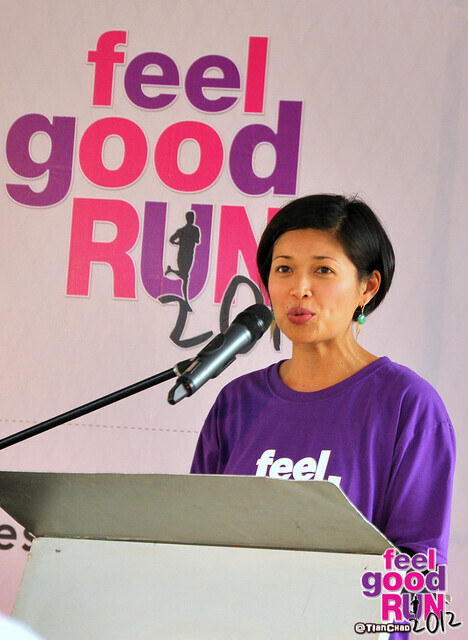 Returning for a second year in 2012, the one and only Feel Good Run continues its pledge in bringing the "feel good" factor to all participating runners. The fun run which attracted amazing numbers in its first year including over 5,000 runners and close to 10,000 visitors, and raised more than RM140,000 for its beneficiaries, will be doing it all over again this year in Sri Pentas, Bandar Utama on 8th July, Sunday. Coming in as main sponsors for this mass run this year are – Pedigree and Whiskas – the world's leading dog and cat food. Ms. Airin said if ntv7 crew can run faster than her, he/she will be given 1 week leaves! 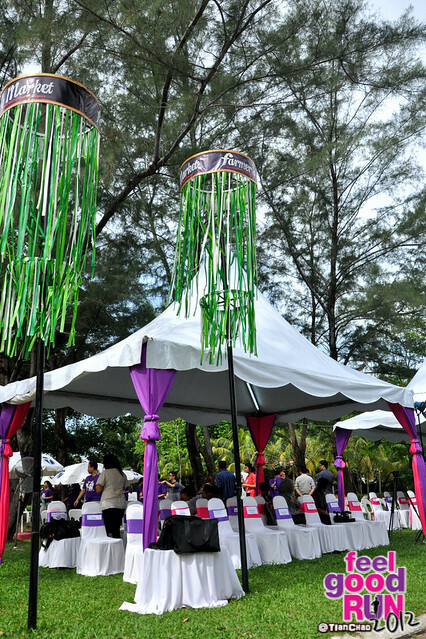 The mastermind behind this amazing effort is none other than Ms. Airin Zainul, Group General Manager of ntv7 & 8TV. Being an avid runner herself, Airin envisioned a platform which could cultivate healthy lifestyle amongst Malaysians, while encouraging the act of giving to those who are less fortunate. "We are truly grateful to the support given by the public in the first year where we took a leap of faith in organising this fun run. We were overjoyed when runners thank us for making their day a "feel good day" – that's the kind of feeling which we get that's priceless," says Airin. 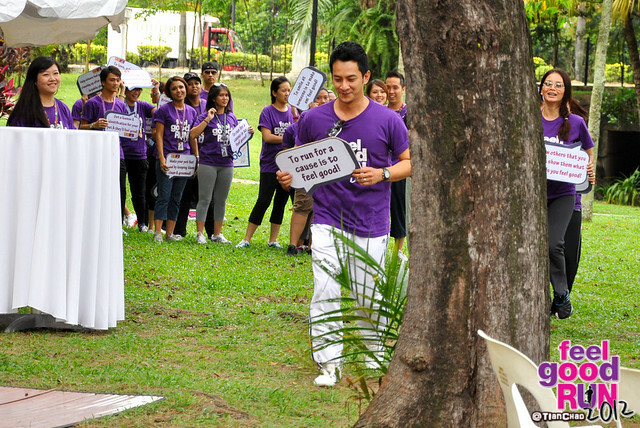 Few more months before ntv7 Feel Good Run 2012. Are you ready to register? 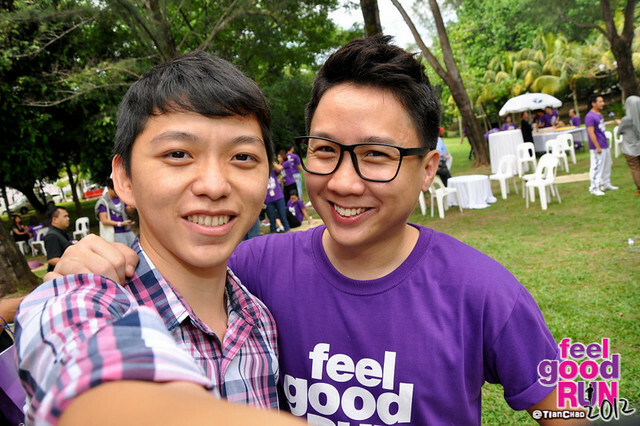 The Organising Committee has also come out with a tagline this year – Do Good, Feel Good! – created to inspire the public to have a big heart for those in need, which not only include humans, but also animals with proceeds to be channeled equally to four participating beneficiaries – Yayasan Chow Kit, Kiwanis Down Syndrome Foundation, Pure Life Society, and PAWS Animal Welfare Society Malaysia. Ms Airin together with Ms. Tay Siok Eian, member of the Pure Life Society & former Welfare Committee Chairman, Dr. Hartini Zainuddin, Founder of Yayasan Chow Kit, Mr. Fred Tan, president of the Kiwanis Down Syndrome Foundation and Mr. Edward Lim, shelter Manager of PAWS Animal Welfare Society Malaysia. Who are the celebrities that attended the ntv7 FGR press con today? There's one media who asked this question: "There will be cats AND dogs at this ntv7 Feel Good Run (and they fight) How would ntv7 manage it?" Well, if your pets can run for 7km just bring them along then. If the pet is not obedient enough, try not to bring it along as when there's a bunch of animals all together, it is more chaotic right? Between, each runner will be allowed to bring ONE pet only. This is to ensure that the management would be easier and to provide better safety to both the animals and runners. Who's your favourite celebrity to run with? Going to find out the full list soon! Interested participants can also email their enquiries to feelgoodrun@ntv7.com.my or call 03-56373821 for more information. All participants who have registered for the run will be entitled to a running kit (consisting of T-Shirt, Message Bib and Runner's Guide Book) which must be collected by the participants at the ate/Time and Venue stipulated below. Participants who complete their run will also be given a Finisher Memento & Participation Certificate at the end of the run. Level 2, Multi Purpose Hall, Wisma OCM. Please be informed that the sizes of T-shirts are limited, therefore the t-shirt will be distributed on first come first serve basis. There will be NO distribution on the race day. Please take note that all the race kits not collected withinthe stipulated period will be deemed as unwanted and the organizers reserve the right to dispose of them in any manner deemed appropriate. Have your running kit couriered to your door step! Running Kit Delivery to your preferred address is available at RM10.00 for online registration. Valid for cities in West Malaysia only. *Proceeds from the entry fee will be channeled to charity beneficiaries. * For online registration, the RM25 fee stated above includes RM5 being online transaction charges and the terms and conditions of use of ntv7 and www.hooha.asia (for payment) website shall apply. Kinda surprised and happy to know that Wayne Thong read my blog! Thanks for your support! PS: Yeah I dressed in purple+pink just for this event.